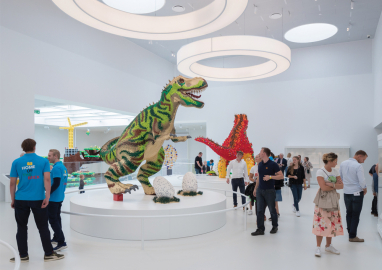 LEGO House brings the toy scale of the classic LEGO brick to architectural scale, forming vast exhibition spaces and public squares that embody the culture and values at the heart of all LEGO experiences--taking Billund a step closer towards becoming the Capital for Children. 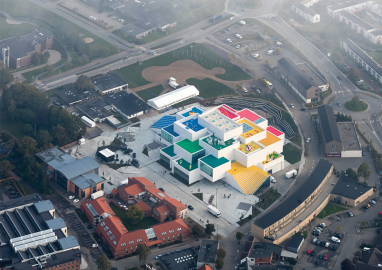 The 12,000m2 LEGO House began construction in 2014, replacing the former City Hall with support from three generations of the LEGO family and Billund City Mayor Ib Kristensen. 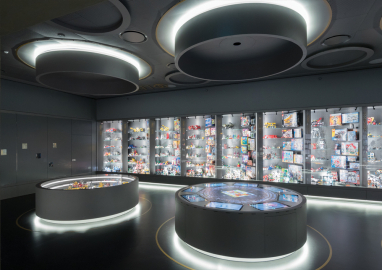 Since opening in September 2017, 200,000+ guests have visited the experience center, exceeding LEGO’s expectations. 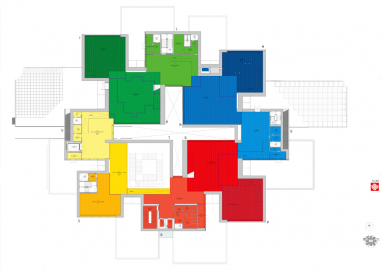 LEGO House is a literal manifestation of the infinite possibilities of the LEGO brick–one that embodies the notion of systematic creativity and allows children countless opportunities to create their own worlds and to inhabit them through play. 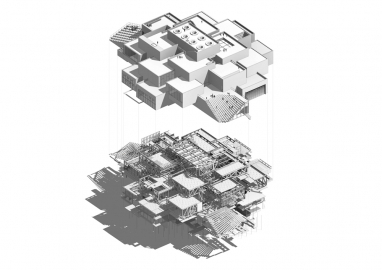 That is what architecture and LEGO play is all about: empowering people to imagine new worlds more expressive than the status quo, and to provide them with the tools to make them reality. This is what children do with LEGO bricks, and this is what we have done at LEGO House with actual bricks, taking Billund closer to becoming the Capital for Children. 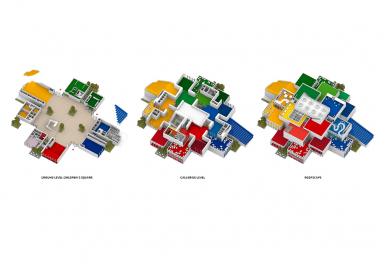 Located in the heart of Billund, the 23m tall LEGO House is conceived as an urban space as much as an experience center. 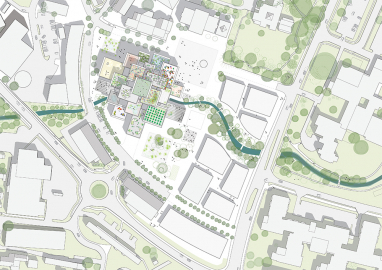 21 overlapping blocks are placed like individual buildings, framing a 2,000m2 LEGO square that appears like an urban cave without visible columns and is publicly accessible, allowing visitors to shortcut through Billund. 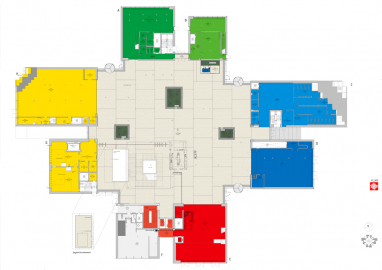 Above, galleries overlap to create a continuous sequence of exhibitions–each color-coded so wayfinding becomes a journey through the color spectrum. 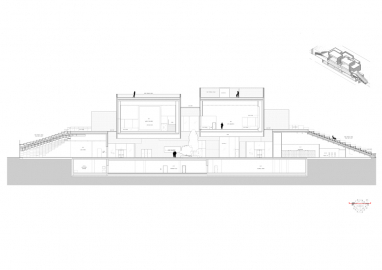 The building is crowned by the Masterpiece Gallery, made of the iconic 2x4 LEGO brick and showcases art beneath 8 circular skylights that resemble the brick's studs. 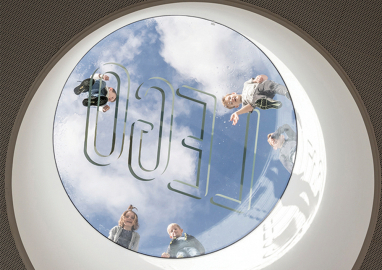 On the rooftops, visitors get a 360° panoramic view of the city while in the Vault, located below LEGO Square, is where children and AFoLs (Adult Fans of LEGO) can witness the first edition of almost every LEGO set ever manufactured. 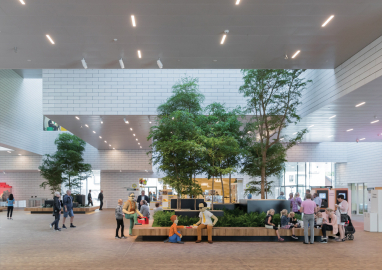 LEGO House's 21 blocks are interlocked in such a way that they form an entirely column-free space at the ground floor level of the building, opening up a beautiful public space for Billund citizens and visitors to stay in or shortcut without interruptions. 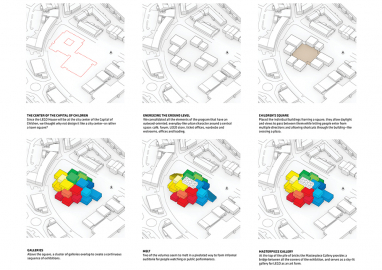 Like the golden ratio, the proportions of the brick are nested in the geometries of everything man-made in the building, from the glazed ceramic tiles in the steps and walls to the overall 21 block scheme. Glazed ceramic tiles were chosen because they give the feeling of the friendly glossy finish of LEGO bricks, and are designed to sustain the Danish weather while aging with grace. It took around 10 months to produce all tiles. The size of the tiles is 172 x 592mm with an 8mm gap. It bends around the corners with 142mm where it meets a glass façade and 292mm when it meets another ceramic tile (the corner tiles are moulded by hand). 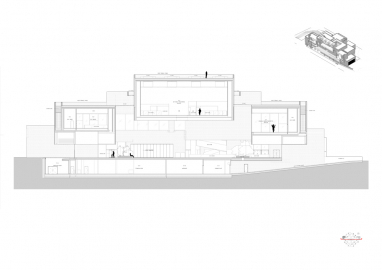 The façade of LEGO House is comprised of glazed clay tiles clipped on to a steel frame. Internal and external facades were executed by SGS and ceramics from NBK. The ceilings are by Dampa and the floors are NOVA rubber floors.